The new Motor Tax rules will hit emigrants, and should be reconsidered. On Tuesday next, 1 October, new motor tax regulations come into effect which drastically limit the existing exemptions for vehicles which are temporarily off the road. From Tuesday, you can only claim a motor tax exemption for an unused vehicle, if you declare in advance that your car or van will be off the road for a specified period. Previously it was possible to visit a Garda Station and make a declaration that a vehicle has already been in dry dock for a period of time. This meant that the car owner could re-tax the vehicle without incurring any liability for the period during which the car was unused. This is no longer the case, and the owner of a previously inactive vehicle will have to pay full motor tax arrears on re-taxing it, unless they have already declared to be off the road. This change is intended to curb the incidence of motor tax evasion, but will also hurt many people whose cars or vans are genuinely off the road. In recognition of this, the Dept of Environment & Local Government have been busy publicising the changes and encouraging owners of inactive vehicles to make the required retrospective declarations to their local authority before the end of this month. This is all fine and well for those of us who live in Ireland, but presents an obvious difficulty for many recent Irish emigrants. We are all aware that hundreds of thousands of Irish people have been forced to emigrate in recent years in search of employment and a decent standard of living for themselves and their families. Substantial numbers of recent emigrants intend to return home when our economic prospects improve and it is reasonable to assume that many still own cars here – which they will intend to use upon their return, or perhaps instead sell. It is unlikely that all these people will have become aware of the new restrictions, and is is equally likely that many returning emigrants will face the nasty shock of an unexpected motor tax arrears bill when they seek to re-tax their cars in Ireland. It’s unacceptable that the State should seek to punish emigrants in such a manner. Bizarrely, the changes are being introduced on 30 September, the 5th anniversary of the infamous Bank Guarantee that has condemned so many to emigration. This irony merely adds insult to injury for those emigrants whom they will snare. At the very least, vehicle owners who live abroad should be exempted from the new motor tax rules. 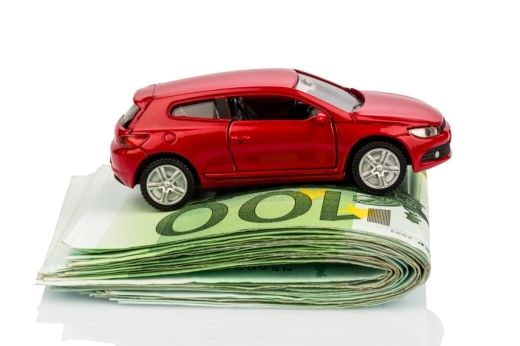 See the Dept of Environment website for the new Motor Tax Rules in full. and throw the whole concoction on a bed of lettuce. to read content, however this website gives quality based posts. Quality posts is the key to be a focus for the users to visit the website, that’s what this web site is providing. I am truly glad to glance at this weblog posts which includes plenty of valuable facts, thanks for providing these statistics. Thank you for the information you gave, it is has been very helpful. This site about Scrap Cars Berkshire is also very good in my view and can be located at http://readingscrapcars.co.uk Thanks Backus Antoniewicz.